Today we saw that BYD is moving down lower, breaking the support level, seems like the time to exit this trade base on our trailing stoploss. For supertrend system the Entry signal came in September when the market turn around. 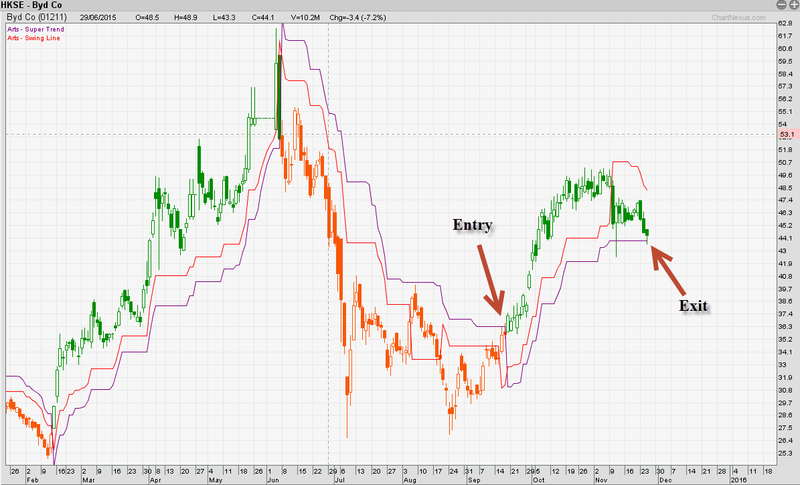 Now that the stock price is turning down, system also show us the way out. Why we will look at this stock? 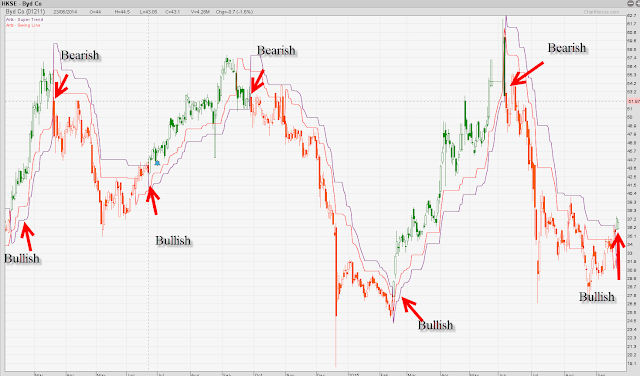 Base on the system the entry signal has a pretty high probability most of the time, and the Payout is good. Some trend can be as high as 80% gain from the entry price. That makes us follow the Green Candle signal. See our previous post below, it is a proven strategy! Click for details and attend our upcoming seminar to find out more how we can profit from both bull and bear markets. Labels: BYD, HKSE, warren buffett.